Hello, all!! 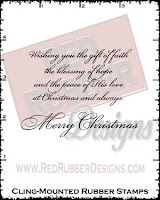 This week I am once again featuring Christmas Season Cling Mount stamp set from Red Rubber Designs. 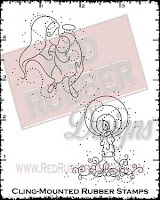 I love the swirls and dots in the designs of the images! 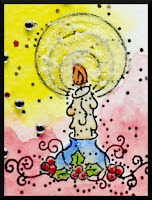 I watercolored the background and the candle image then added glossy accents to the entire image. 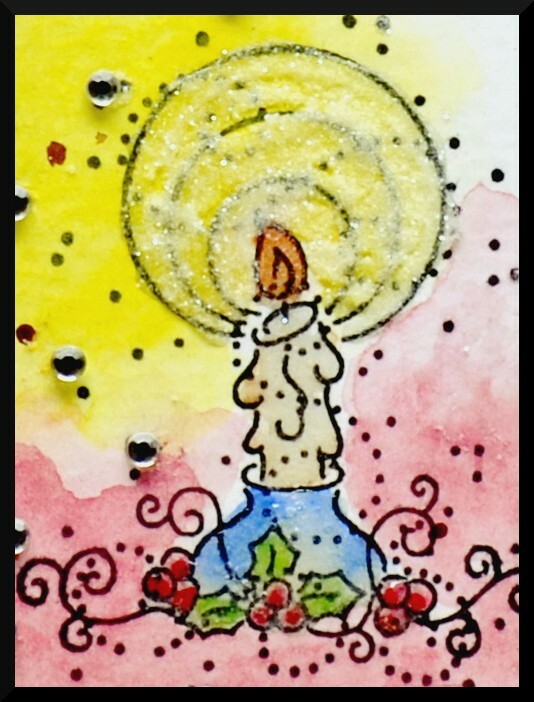 I was feeling sparkly this week so I added glitter to the candle glow and sprinkled a few gems about! 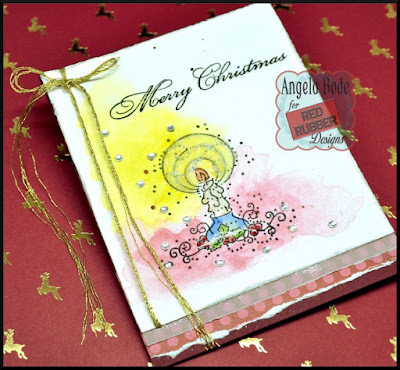 created a layer for the inside of the card with the script stamp also from the Faith Hope Love cling mount stamp set. 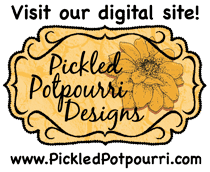 For the finishing touches, I distressed the image layer and added a border of torn patterned paper and vellum then tied it all together with gold thread. 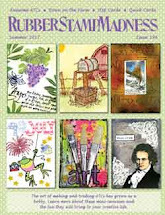 Beautiful background and stamping!! I love all of the sparkle and bling!